Mr. Oguti Sebastian Oswin is the research coordinator of the TrustLand project. He holds a Master of International Relations Degree from Chinese Institute of International Studies 2011, Jilin University-Peoples Republic of China (PRC) and a Bachelor of Arts with Education 2005, Makerere University Kampala Uganda. 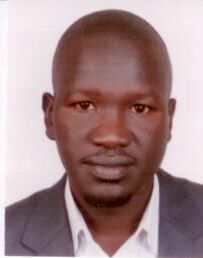 He is fluent in English and Acholi language. Mr. Oguti has over seven years of humanitarian and development work experiences acquired through working with international organizations in Uganda and Somalia. He is a result oriented fellow whose key competences among others includes: Solid Oral and Written Communication Skills; Conflict Analysis/Peacebuilding, Research, Human Resource management, Capacity Building, Good Networking Skills; Ability to Influence Others, Proficient Experience in both Conflict and Post-Conflict setting, and Human Resource Management. He has competency to effectively lead in Strategic Planning and Decision Making. Also, Mr Oguti has strong acquaintance with donor procedures for projects funded by international donors such as European Union, SIDA, UNHCR and UNICEF. He is vastly knowledgeable in Education and protection for both emergencies and post emergencies development programs. Mr. Oguti’s technical expertise in project management covers a full range of program management, planning, controlling, project evaluations, M&E training, strategic planning, developing indicators, data collection, designing results frameworks, program reporting, and database development for project. He has enormous skills in computer practice and application specifically in use of Excel, Word, and power point.